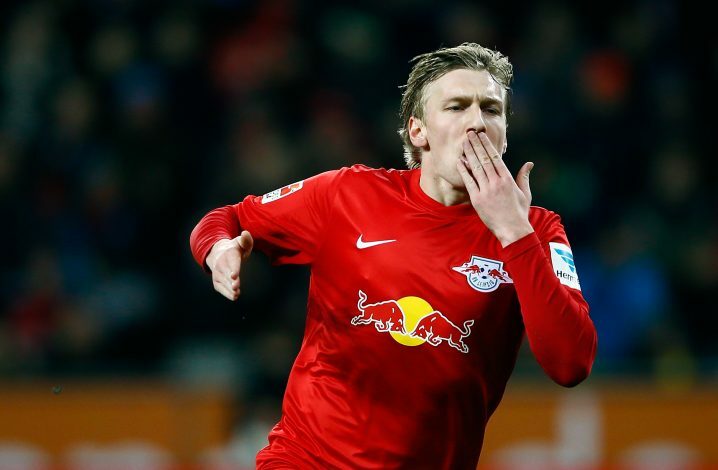 Manchester United will turn to RB Leipzig winger Emil Forsberg if they fail to agree deal with Inter Milan for Ivan Perisic, reports Calciomercato. Perisic’s future at Milan has been up in the air for quite some time now, as the Croatian has been frequently linked with a move to England, particularly to United. The Croatian had been a high priority target for the Red Devils this summer, but both sides have failed to reach an agreement. The Premier League giants had their previous £44 million bid for the winger rejected by Inter, as the Milan-based club is holding out for £48 million. Following the disagreements between the two European giants, Jose Mourinho is looking at an alternative to Perisic, and has reportedly approached Forsberg’s agent for a potential transfer. The Swedish international, who is reportedly available for £44.7m, had one of the most crucial roles in his side’s success in the previous campaign, where he managed to net 8 goals and provide a sensational 19 assists in the Bundesliga, consequently piquing the interest of several European elites. It is clear why Mourinho is interested in the 25-year-old, who is not only preferable over Perisic in terms of stats, but also in terms of distribution and versatility. The former Malmo man has been enjoying life in Germany, and it is going to take a masterclass offer from the Europa League champions to prise the Swede away from the Bundesliga.